There is a collection of small, responsive components using consistent and conflict-free naming conventions. UIkit’s very basic style can be extended with themes and is easy to customize to create your own look. 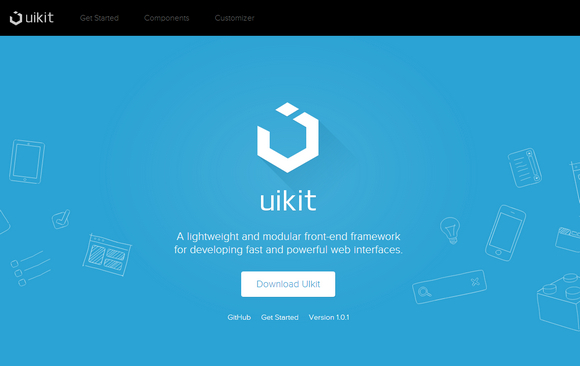 UIkit is open source and MIT licensed. It is absolutely free of charge and you can use, copy, merge, publish and distribute the framework without any limitations. Awesome framework, have all what I need. thanks for posting this. Very very nice. I’ve just overlaid the code onto a old looking website and started to add the classes here and there, and it’s given my app a whole new lease of life. not friendly with IE !! where you live in stone age ?